Το MING YUE HU LAKEVIEW HOTEL, που βρίσκεται στη Λίμνη Σαν Μούν, είναι το ιδανικό σημείο αναχώρησης για τις εκδρομές σας στη Ναντού. Μόνο μακριά, αυτό το 2.5 αστέρων ξενοδοχείο είναι εύκολα προσβάσιμο από το αεροδρόμιο. Με την βολική του τοποθεσία, το ξενοδοχείο προσφέρει εύκολη πρόσβαση στους προορισμούς της πόλης που πρέπει οπωσδήποτε να δείτε. Στο MING YUE HU LAKEVIEW HOTEL, η άψογη εξυπηρέτηση και οι ανώτερες εγκαταστάσεις συντελούν ώστε η διαμονή εκεί να σας μείνει αξέχαστη. Για την άνεση και την διευκόλυνση των πελατών, το ξενοδοχείο προσφέρει δωρεάν WiFi σε όλα τα δωμάτια, ημερήσιος καθαρισμός, κατάστημα δώρων/σουβενίρ, ιδιωτικό τσεκ ιν/τσεκ άουτ, υπηρεσία ταξί. 12 δωμάτια μοιρασμένα σε 6 ορόφους παρέχουν ένα ζεστό και ευχάριστο σπιτικό μακριά από το δικό σας. Σε επιλεγμένα δωμάτια θα βρείτε μοντέρνες ανέσεις όπως δωρεάν τσάι, ντουλάπα, προϊόντα καθαρισμού, πετσέτες, κρεμάστρα ρούχων. Εξάλλου, το ξενοδοχείο διοργανώνει πολλά ψυχαγωγικά δρώμενα έτσι ώστε να έχετε πολλά πράγματα να κάνετε κατά τη διαμονή σας. Με την ιδανική του τοποθεσία και τις καταπληκτικές του υπηρεσίες, το MING YUE HU LAKEVIEW HOTEL θα σας ευχαριστήσει σε πολλά πράγματα. Location is great - it's located right at the end of the Itashao shopping street, so there are many shops right at your doorstep. Service here was excellent - we were upgraded to a quadruple room so that we could be on the same floor as the others in our family. The view out to the lake from the room is beautiful. The staff was also very helpful and gave us detailed traveling tips. There are also discounted tickets sold at the hotel reception for some of the local attractions (such as the Formosa Aboriginal Cultural Village). Staff also took the initiative to offer a free breakfast coupon to our accompanying driver, which we felt was a very kind gesture. Nice hotel clean and very good view from my room. Seeing the beautiful sun moon lake.. Next to hotel a small street food area to walk around. The hotel staff is so nice to give us a little gift as it was me and my spouse birthday during our stay. Very friendly and helpful staff. Only thing about this place transportation is not very convenient. Expensive to book taxi but if you don’t want to be too tired traveling back to the city is still advise to book a taxi. Advise to buy the ferry ride from the hotel which is cheaper. If you want to visit the other island for a day tour. Fantastic lake facing rooms with balcony. In the evening you hear live chilled street music which is nice. Excellent service by owners and staff. 3 star hotel with 5 star service. Breakfast spread is typical 3 star hotel but you also get beautiful lakeview! We like this hotel so much.location is great, just right infront of pier. The view from the hotel balcony is breathtaking. The hotel staff is very friendly and helpful, especially the front desk receptionist. They have provide valuable information on travel tips which help us save a lot of travelling time. Will definitely stay again for our next visit to sun moon lake. The owners were very friendly and pleasant and made us feel very welcomed. We were amazed by the fantastic view of the lake when we entered the room. A good variety of tasty food offered during breakfast. Very good location too because it’s a stone throw from the pier. We chose this hotel for its good reviews and we were not disappointed. The room has a balcony that faces the beautiful lake itself ( great expanse of turquoise coloured water) and we could admire it while sipping tea. If you are someone who enjoys nature, peace and quiet, this is a good hotel to stay. Moreover, the hotel staff , we thought it could be the owner though we didn’t ask, was kind enough to give us a free upgrade upon arrival, to a huge suite with two queen-sized beds. The staff were all polite and helpful and we enjoyed our stay there. FANTASTIC ROOM WITH FANTASTIC VIEW of the lake. The hotel is managed by the family who are super helpful and polite. location is ace being just in front of the Ita Thao port and walking distance to ropeway. they also give discounts for tickets to the aboriginal village and ferry tickets. 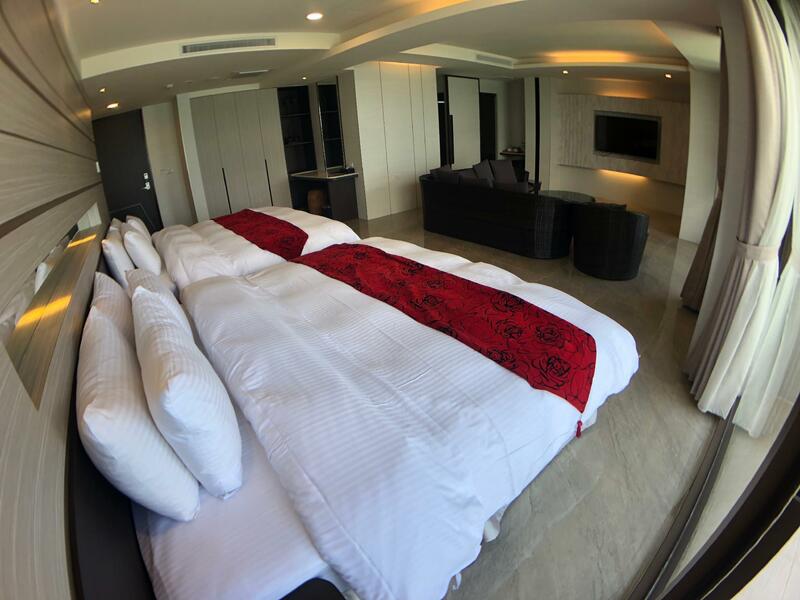 Would definitely stay again in my super spacious Quad room. Beautiful scenic from our hotel room. Great gateway from busy town area to enjoy the quietness of sun moon lake with family bonding. Hotel room is clean and provide all the necessary toiletries. Breakfast was good with varieties. Parking at ease too with the staff help. Simply love the stay here. Thanks to the great hospitality!! Pros: 1. Lovely lake view directly from the room. It’s so beautiful to sit at the balcony to have a drink while enjoying the lake view and the breeze. We can also watch a group singing on the platform near the harbour. 2. Friendly and helpful staff. 3. Free laundry service, we only need to pay NT50 for dryer. Cons: 1. It’s on the other side of the lake opposite the main bus station, so need to take the ferry or bus to get back to the main bus station . 2. Very simple breakfast with limited choices. The hotel was just right in front of the Itashao Pier and you could see it when you arrived at the pier by ferry. It is a family managed hotel and they are very friendly and approachable. This hotel provides free laundry service, only need to pay NT50 for drying. The staff offered me to send the laundry to my room after washing but I prefer to collect from the counter. The hotel was also selling Aborigines Village with ropeway tickets at discounted price and we bought from them. We did not buy the discounted ferry tickets as we had already bought at opposite Shuishe Pier. We can have 20% discount if we dine at their restaurant for lunch and dinner. Breakfast was provided and was good though it was almost the same for the 2 days we stayed. The last night when we came back, the hotel family was having a local fruit，trapa and they offered us to try. We booked the side lake view but got lucky to be upgraded for free to lake view room. 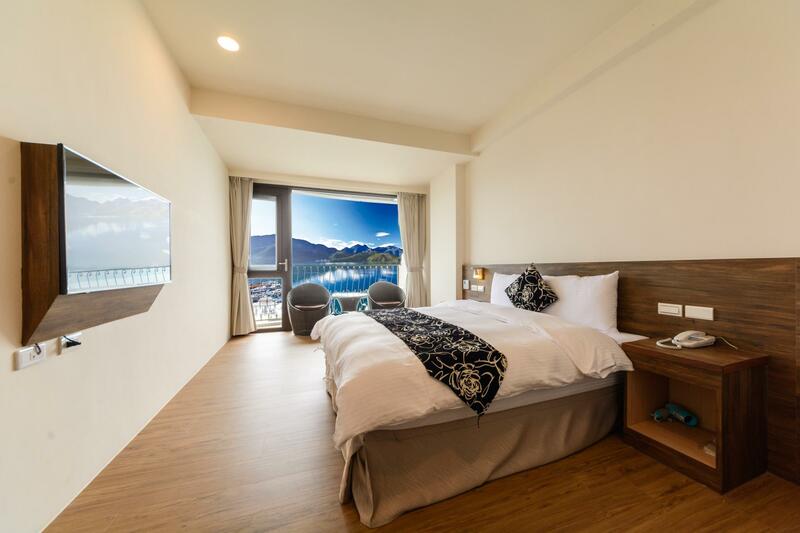 It was a huge room overlooking the lake, walking distance to stores and sunmoonlake activities like cable ropeway, bike and boat cruise. Overnight was not enough for us because the view was very relaxing and there's a lot of activities to do, we reccommend 2 days visit here. We enjoyed the breakfast at the hotel, staff were so nice and accommodating. Everything you need like towels, hairdryer, toothbrush was provided. The only downside in this area was most of the stores and food stalls close as early as 7pm but still we had an awesome stay. Thankyou. friendly staffs and reasonable price in a perfect location. the view from the room was awesome that my family and I didn't wanna leave our room lol. we recommend to everyone if you come visiting Sun Moon Lake. Also, their restaurant is also popular that it's always fully booked (sadly)!! Remember to make an early reservation if you wanna have lunch or dinner in their restaurant. They upgraded our room free of charge. Helpful staff with great breakfast! 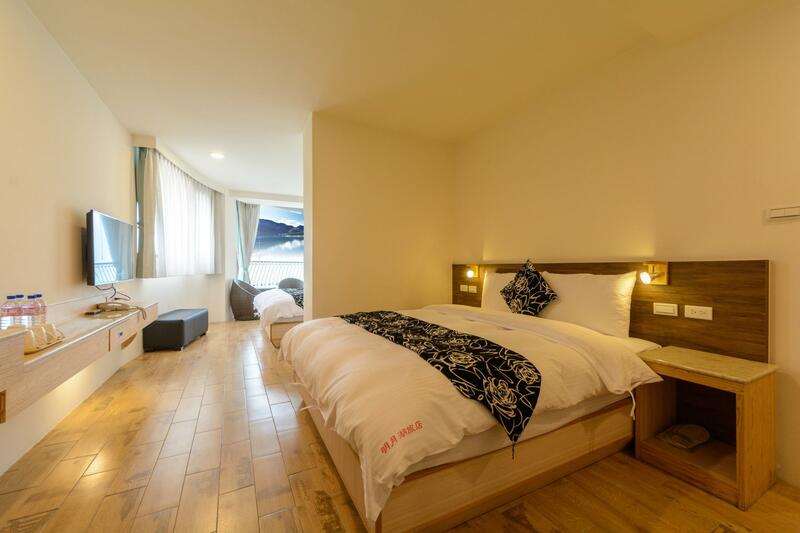 The room is so nice with a lovely view of the lake that wants you to stay most of your time relaxing in your room and seeing the beautiful lake with a serene location at night. 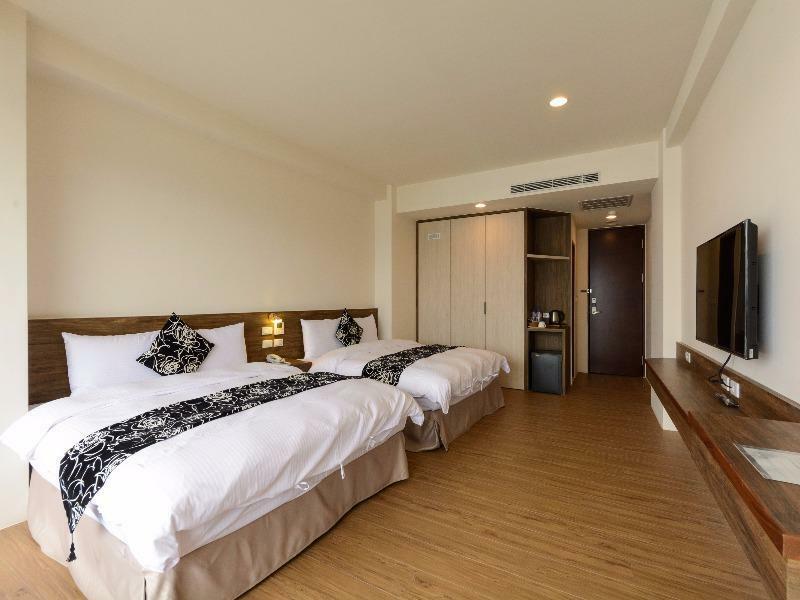 Hotel is just location near to the jetty and rooms face the sun moon lake directly. Next to the hotel is the night shopping street that you can buy food and souvenirs. Staff are friendly and breakfast spread is simple but reasonable. Some food turns cold very easily. Also I feel that the coffee machine should be place away from food - a further corner to avoid accident. The hotel is just at the Ita Thao pier, in the middle of shopping area. The staff is very helpful and kind, he suggest how to travel around the sml. The room is very spacious and clean with good view. The breakfast is great, good taste. We really love this place. We have a chance to stay here only 1 night and we need to check out in the early morning (6.30 AM). The staffs are very kind and offer us to breakfast before leaving. The room is great and we can see the excellent view of Sun Moon Lake from the balcony. This place is really near to the Ita thao pier, the shops and restaurants. I will absolutely book this place again next time when I visit Sun Moon Lake, Taiwan! The hotel is close to Ita Thao pier and the lake. There are shops and restaurants nearby. The hotel runs by a family. They are friendly and try to get all information you need. The room is clean and wide. Will come back again. We were really happy with the way the owners treated us. They went out of their way to be friendly and make it a very pleasant stay. For example, one evening we came back from souvenir shopping and had bought a few oranges. The owners saw us and said, “oh, we wish we had known you were going to buy oranges, because we have some here for you!” Then they started putting oranges into a bag for us from a box that they really did have right in front of them! It was kind of a fun coincidence, but it was just one example of how they made our stay very pleasant. I would recommend this hotel to anyone! Staffs are very rude. They do not know what is services mean, I think. They bad-mouthing to us with Chinese .Unfortunately we understand Chinese . We booked twin bed with as per their picture which show window but they provided us without window and the room is very small and the bathtub look like fish tank. And we think we are booking from Agoda so they do not treat us like customers from the direct booking at their hotel website. Direct booking customer get priority, we think. So we only get the left out room. We do not recommend this hotel. We think we did not get the service for value of what we paid. If possible we would like to give review for Minus of value for money , staff and facilities especially. We are starting from doubt Agoda if possible to get same service as like direct booking or not if we book from Agoda .